We’ve just passed 14K and the campaign is still going strong! 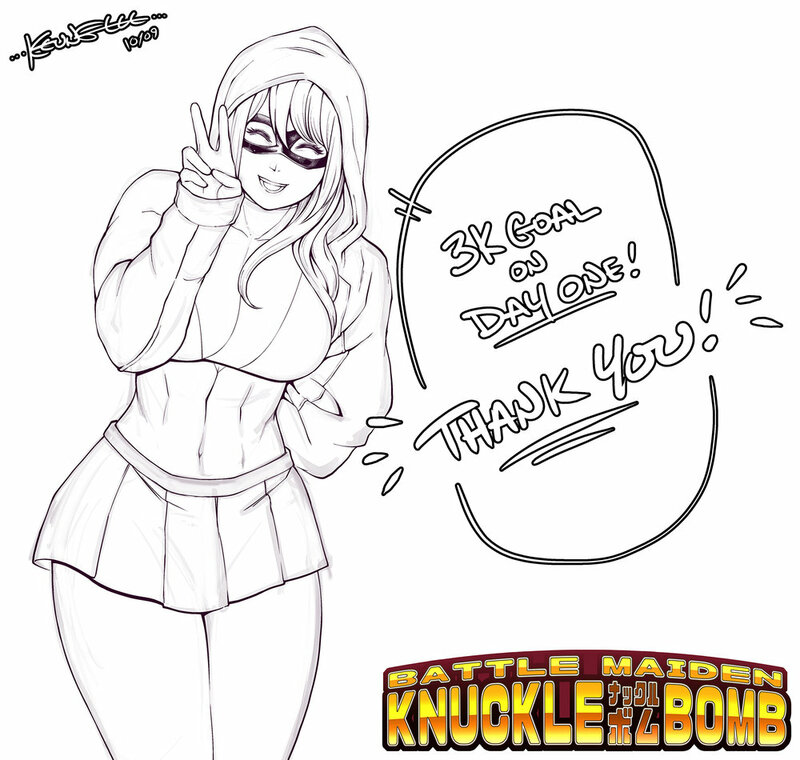 Thank you all so much for your support! 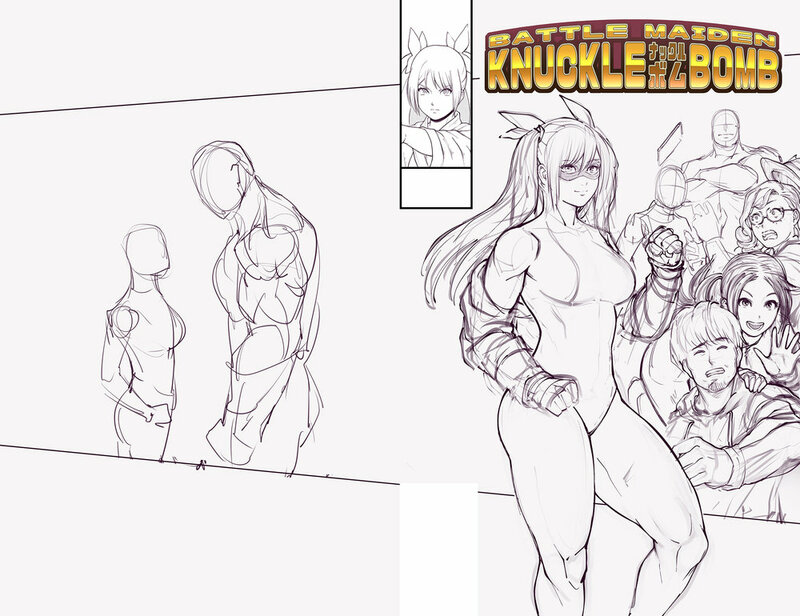 I’ve been working nonstop on both pages for the book and content for the campaign. I’m proud to announce a brand new perk for the campaign, as well as the second run of sketch cover variants! The new Giclee Perk comes with a signed comic as well as two signed 6x9 inch glicee prints featuring the virgin art of the book’s chapter title cards printed on archival matte paper stock. Along with the new perk comes a second offering for those who missed out on the sketch cover variant perk that sold out after the first day — 50 more will be opening up for Backers to claim on Monday, 10/22! Forced to create genetically modified bioweapons for an archaic occult organization, Dr. Albert Vogel inadvertently succeeds at discovering the means to unlock the limits of human potential. He attempts to conceal his revelation, but the cultists grow suspicious and believe the doctor is withholding that which they desperately desire. Saaya Volkova, Vogel’s niece, is forcefully abducted and used as leverage. She is critically injured and Vogel is forced to inject his niece with the perfected formula to save her life. The mutagen transforms Saaya’s body, increasing her muscular density and grants her incredible strength and resilience. She also gains the ability to fly and a unique skill to absorb and manipulate biokinetic concussive force! While struggling and learning to control her newly acquired power, Saaya attempts to fight back and to escape with her uncle. But even if they manage to survive, they will surely be pursued, and just how far does this organization’s influence extend? 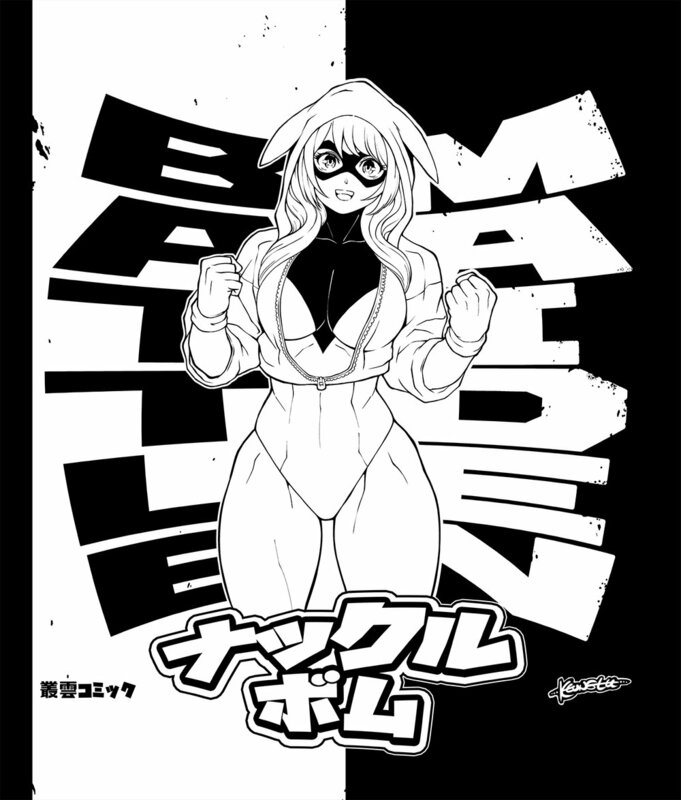 My comic, Battle Maiden Knuckle Bomb, will be going up on Indiegogo in October, 2018. 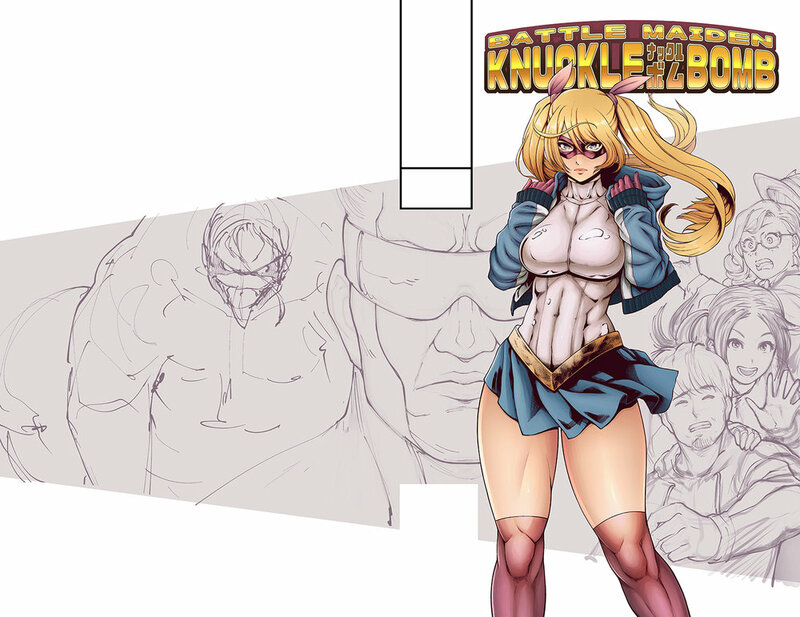 Below are some sample pages, as well as a cover design I’m currently working on.